! This is NOT a method of direct communication with ADIRONDACK FLOWER for purposes of ordering or rectifying problems. So glad we could help, thank you for taking time to review we greatly appreciate your business. Thanks for the great service and wonderful flowers you delivered to my family member. The only reason not 5 stars is the gift card mistakenly omitted my name among the group sending the plant, so my daughter didn't know the gift was also from me. The plant is gorgeous, new blooms every day. She loves it! The arrangement was the most beautiful and serene for this sad event at Christmas and represented my family so thoughtfully. I have u for my future needs. Thank you for the opportunity to express your thoughts to your family during a difficult time. I appreciate your kind review & we look forward to helping in the in the years ahead! All the best in 2019! Happy New Year! 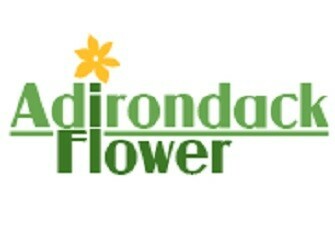 Adirondack Flower is awesome, thank you! Best arrangement I’ve ever received! The client I sent the flower arrangement to loved it! I was very happy with the service and the outcome. Referred by my assistant to use this shop. Great Job! Thank you for your kind words, we appreciate it! If there is anything we can help with during the upcoming holiday season we would love to help! Thanks again! I ordered a get well arrangement for my brother. The flowers were delivered on time as stated in my order and they were beautiful. It brightened his day. Prompt service. Rapid turnaround. Fair pricing. Overall good product. Thank you. Great convenience and customer service. Thank you, Adirondack Flowers for a beautiful 90th birthday bouquet for my Dad! They were delivered promptly, and just stunning! My girlfriend absolutely loved the flowers! The arrangement came out exactly as I expected and the delivery was very quick! Thank you for such great service and beautiful product! Sent flowers from your shop to my sister who was a patient at Glens Falls Hospital. She said they were absolutely gorgeous! She said everyone from the cleaning lady to the nurses to the doctors commented on how beautiful the arrangement was. Several of the nurses even took pictures with their cell phones. It was the pick-me-up she needed. Thank you so much for the pride you take in your work.....it shows in the end results! Very easy online ordering. The recipient said the flowers were just beautiful and delivery was amazingly quick. Thank you so much. The delievered the same day as promised and the flowers were perfect. They made my girlfriends day who was feel ill that day. Beautiful arrangement and fast turnaround. Thank you! Fantastic service! I live on Long Island so I was worried about not knowing what the flowers were going to look like and both of the recipients raved about how gorgeous they were. I would definitely recommend. The arrangement is lovely and it's a pleasure to look at it. Thank you! My Mother-in-law said the flowers reminded her of "an old fashioned bouquet"...she was so happy that she called the Florist and told her how BEAUTIFUL the arrangement was. It was easy to use your service! I loved the information on local services. I was able to get the address to the specific funeral home I needed right on your sight instead of doing a seperate search off the internet. I've never used an easier sight and I was told the flowers were beautiful! Thank you. My grandmother loved the flowers! Thank you for the great service. Adirondack Flowers delivers the best service! I am always pleased at how quickly they handle my requests and the quality of their arrangements. Thanks! My daughter loved the flowers. She sent me a picture of them and they were beautiful. THank you for doing such a great job. The flowers were beautiful. My daughter sent me a picture. Thank you so much for making her one year in the business so great! I was very happy with the service. The web site made it so easy to order.Thanks again. I would use Adirondad Flowers again.. The arrangement was very beautiful and has lasted a long time. I still have pretty looking flowers after 10 days. It's great to be able to send flowers online and Adirondack Flowers had some lovely options. I don't actually know if the flowers arrived or what they looked like, so I can't really comment. I sent these flowers to my Great Aunt's wake. I was unable to attend, but my mother said they were beautiful. Thank you! Flowers were ordered last minute and delivered within a couple hours. They got rave reviews from the recipient. Thank you for helping me make my friend's day! This is the best flower shop I have ever been to! JoAnn was soo helpful with my son's junior prom & the prices are soo reasonable. The location is perfect..right behind my house. I run into JoAnn everywhere and we know each other's names! I go there also to just get a few flowers for myself and nobody can beat her prices! Beautiful! I just received a bouquet for my birthday and was very impressed. I did not see the arrangement but my family said it was beautiful. They were very pleased. Delivery was quick; arrangement was very nice. Great customer service, very good value and unique arrangement.